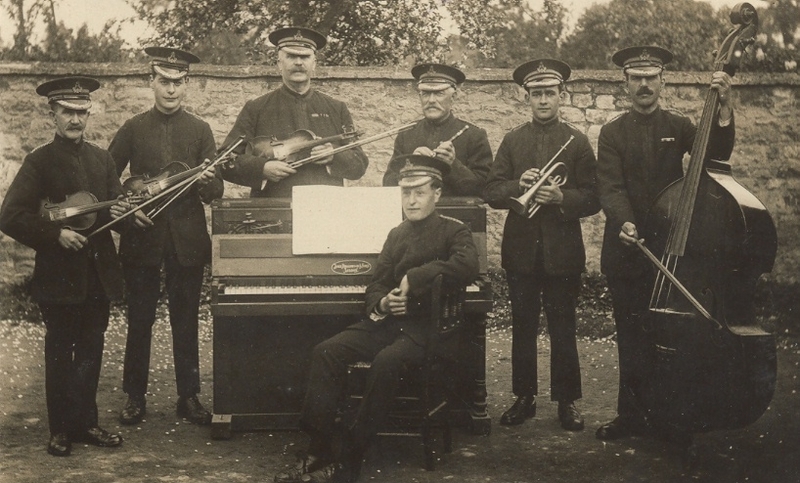 Digitised photographs and descriptions relating to Frederick Merriman’s family history, his gold medal at the 1908 Olympics in the tug of war, and his return to Broad Campden on retirement, when he set up the Bijou Band and other entertainment. Used as a CADHAS display. Other family members mentioned are the Waine and Ashwin families.